Well established brands have an enviable position within the market place of being instantly recognisable, people know what they are and what they do. However, this does not always save them, look at Habitat and a whole plethora of brands that fell last year during a very challenging trading period. The question is how do you get the clients in for the perceptions to be modernised? This is where our perception campaign comes in. 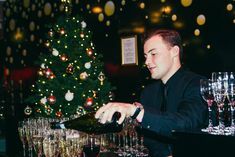 We asked three event professionals, who hadn’t been to Madame Tussauds, to come to a party. We interviewed them pre, middle and post event. The interview has been posted on YouTube, we will be tweeting about the video, sending the video to current clients who we are quoting new business and of course I have written this blog! 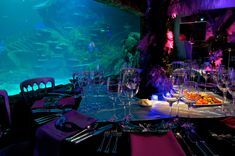 The event professionals interviewed loved the venue and to watch the video shows that Madame Tussauds really does have an emotional attachment to people via the celebrities here. The next piece of the campaign is a HTML that goes to 7,000 event organisers with the heading “Everything evolves” and a link to this blog and the YouTube video. 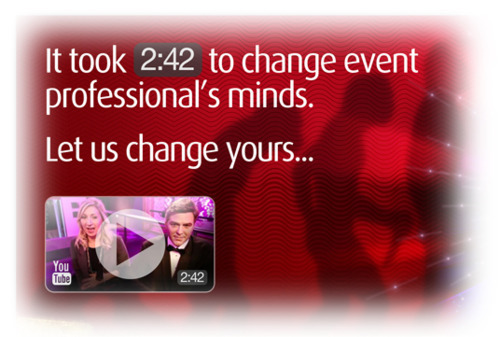 The heading of the video is: we change the perception of event organisers in 2.42 seconds how long will it take you? Embedded in the HTML is a competition for people to post old pictures of them at Madame Tussauds on our Face book page, the best picture winning an Annual Pass. What do you think of the campaign?